Two-bedroom, two-bath condo, $1.25 million. A recent price drop of $165,000 makes this condo unit at 721 St. Nicholas Ave. between West 145th and West 146th streets ever so slightly more affordable. The apartment has high ceilings, lots of windows, wood floors, an open living room/kitchen, and a private terrace. The unit is located in the Barnard, a building that was home to a gentleman’s club in the Victorian era, and later, a boys school. Been hearing a lot about Hamilton Heights, but don’t know if the uptown neighborhood is right for you? Mirador Real Estate’s Edward Henwood and Triplemint’s Steven Kopstein are here to guide you in this week’s Buy Curious. I've heard a lot of good things about Hamilton Heights. I'm thinking I should look into moving there before I get priced out. What’s available? Named for Alexander Hamilton, the Harlem subsection of Hamilton Heights has seen property values soar in recent years. “The expansion of Columbia University in [neighboring] Manhattanville has probably had the biggest impact,” says Kopstein, referring to two new academic buildings that opened earlier this year on Broadway to the south. As a result, "there has been an influx of student life that has attracted cafes, bars, and restaurants, invigorating the social scene," says Henwood, himself a resident of the area for the last five years. The uptown neighborhood extends from the Hudson River to St. Nicholas Avenue, and from 135th Street to 155th Street. 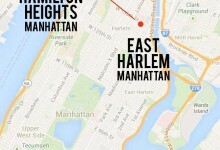 Manhattanville lies to the south and Washington Heights is to the north. Hamilton Heights contains the sub-sub-neighborhood of Sugar Hill, which is bordered by West 155th Street to the north, West 145th Street to the south, Edgecombe Avenue to the east and Amsterdam Avenue to the west. Sugar Hill got its name in the 1920s when wealthy, prominent African Americans including W.E.B Du Bois and Thurgood Marshall moved there to live what was regarded as the sweet life. Kopstein paints a rather poetic picture of the neighborhood. 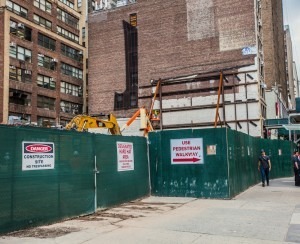 "It’s an older, established residential area with five to six-story elevator apartment buildings dominating that were built in the 1940s and a good stock of turn-of-the century 1890s brownstones on quiet, tree-lined side streets,” he says. “The main boulevards are Broadway, 145th Street, St. Nicholas Avenue and Amsterdam Avenue. They have most of the commercial businesses... think old bodegas next to nouveaux [ramen] with cocktails served in a conch shell on fire next door. Some of the older residents will sit along the median on Broadway smoking cigars and playing dominoes. [There are] lots of hair salons and late-night barber shops playing salsa while employees and patrons drink rum and watch Yankee games on TV, at least in the barber shops. The ladies’ salons have old fashioned hair dryers—the kinds with hoods—and big curlers." Manhattan Community District 9—which includes Morningside Heights, Manhattanville, and Hamilton Heights—is 53 percent Hispanic, 26 percent African American, and 15 percent white, according to census data. The median income is $39,700 and a third of residents have received some sort of public assistance recently. 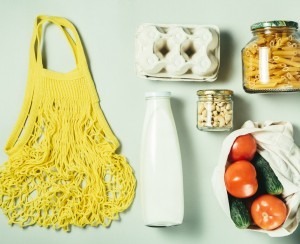 Henwood calls Hamilton Heights a "melting pot that is bubbling with eclectic diversity. Residents who are third- and fourth-generation are mixing with new arrivals to the neighborhood." What’s types of housing are available? Excellent, according to our experts. 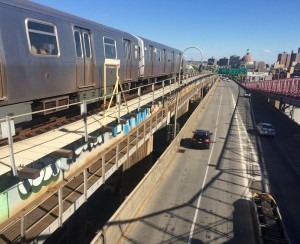 The neighborhood is served by five subway lines—the A at 145th Street, the B and C at 135th, 145th and 155th streets, the D at 145th and 155th streets and the 1 at 137th Street/City College and 145th Street. Buses that service the area include the M3, M4, M5, M11, M100, M101, Bx6, Bx19, and Bx33. The median sales price for co-ops and condos in Hamilton Heights was $717,500 in the second quarter of 2017, according to appraiser Jonathan Miller of Miller Samuel. That’s up 16.7 percent over last year’s median of $615,000 in the second quarter of 2016, and up a whopping 240.1 percent from five years ago, when the median price in the second quarter of 2012 was just $211,000. Kopstein says that you can expect to pay around $600-$750 per square foot for a prewar co-op, and closer to $350-$500 per square foot for an income restricted co-op. Condos are about $900 per square foot, he says. 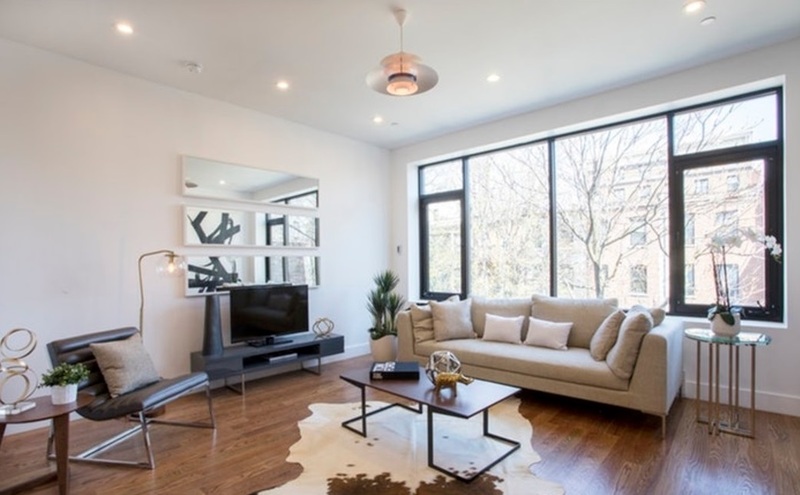 There are 48 homes currently listed for sale in Hamilton Heights on StreetEasy, ranging from a $160,000 one-bedroom co-op on West 151st Street to a $5.495 million four-bedroom townhouse on Hamilton Terrace. It's not the most happening part of Manhattan, but there’s still lots of stuff to do. Riverbank State Park is "a huge state park along the Hudson River that offers every sport imaginable, including roller and ice skating, indoor swimming, basketball, football, [and] tennis," Kopstein says. There are also two playgrounds, a splash park, and a few picnic areas. There’s also Hamilton Grange, Alexander Hamilton’s onetime home on West 141st Street, where guided tours of three period rooms are now offered by the National Park Service. The Sugar Hill Children’s Museum of Art & Storytelling on St. Nicholas Avenue has year-round art exhibits, a storytelling series, and art-making workshops for kids. “It’s good and growing great,” says Henwood. His Hamilton Heights faves include The Honeywell, a basement bar on Broadway that serves small bites, and The Draft House on Broadway, which has lots of beers on tap and serves pizza and other Italian food. Kopstein likes new Indian restaurant Mumbai Masala Indian Grill on Amsterdam Avenue, the Japanese Chopped Parsley on 146th and ROKC on Broadway, and The Handpulled Noodle on Broadway, which serves Chinese street eats. 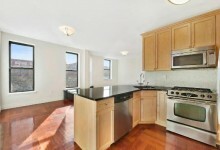 Three-bedroom, three-bath condo, $1,896,250. 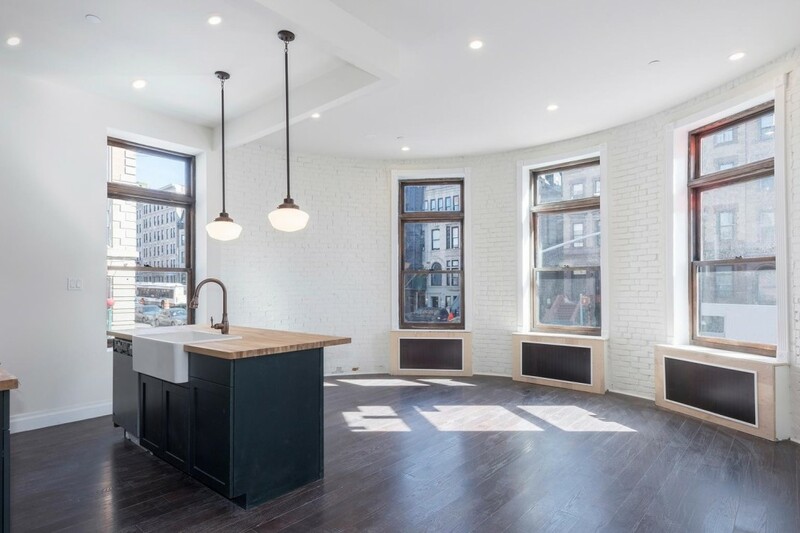 This sunny 2,000-square-foot triplex penthouse at 535 West 147th St., between Broadway and Amsterdam Avenue, has large windows, high ceilings, and a huge master bedroom. The turn-of-the-century townhouse it's in has a virtual doorman, a roof deck and a roof-level wet bar. One-bedroom, one-bath condo, $525,000. 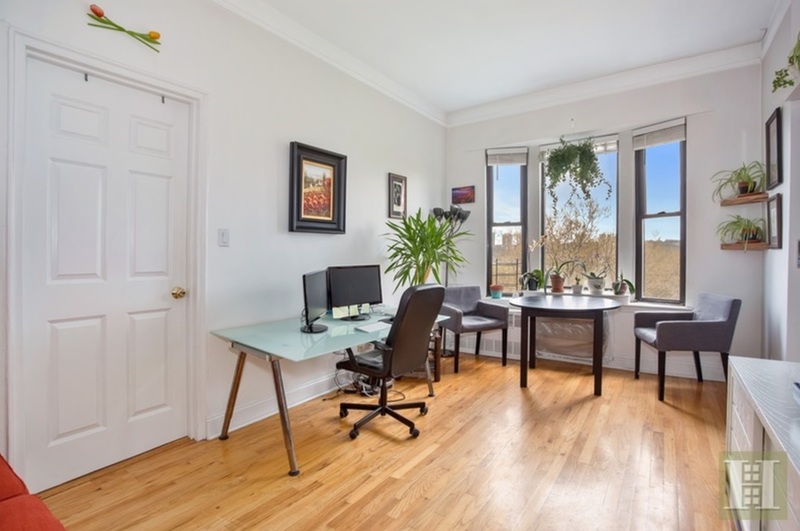 Located at 660 Riverside Dr. between West 143rd and West 144th streets, this one bedroom has hardwood floors throughout, through-wall air-conditioners, and a bay window facing west. 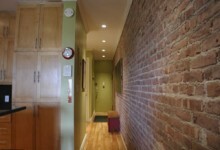 The pet-friendly, prewar elevator building has a live-in super, a central laundry room, and a bike room. 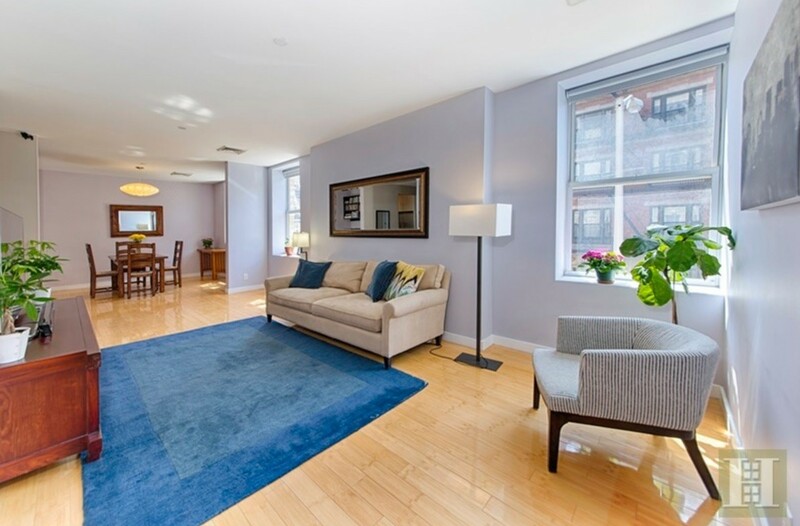 Three-bedroom, two-bath condo, $1.05 million. This condo at 469 West 152nd St., between Amsterdam and St. Nicholas Avenues, recently saw a $25,000 price drop. The apartment features a key-locked elevator that opens into the unit, a kitchen with stainless steel appliances, a windowed bathroom, bamboo flooring throughout, personally controlled heating and air conditioning, and a vented washer and dryer. The building has a virtual doorman and access to a roof deck. There’s also a J-51 tax abatement in place that reduces taxes to zero for a time.